Stalks of rye bob in the summer breeze in a field near Cambridge, Minnesota. It is a cereal grass in the wheat family—seeded in the fall, it stays green and patient throughout the winter, then skyrockets in the early spring. It shoots up from the gray, powdery soil, gets a deep tan, and then grows waist-high before lilting under the weight of a neatly braided head of grain. But rye can still thrive here. It may be the most drought-resistant crop we have in the Upper Midwest. It’s winter hardy, grows without much trouble, and new hybrid varieties are producing impressive yields. What it doesn’t have is much of a fanbase—yet. 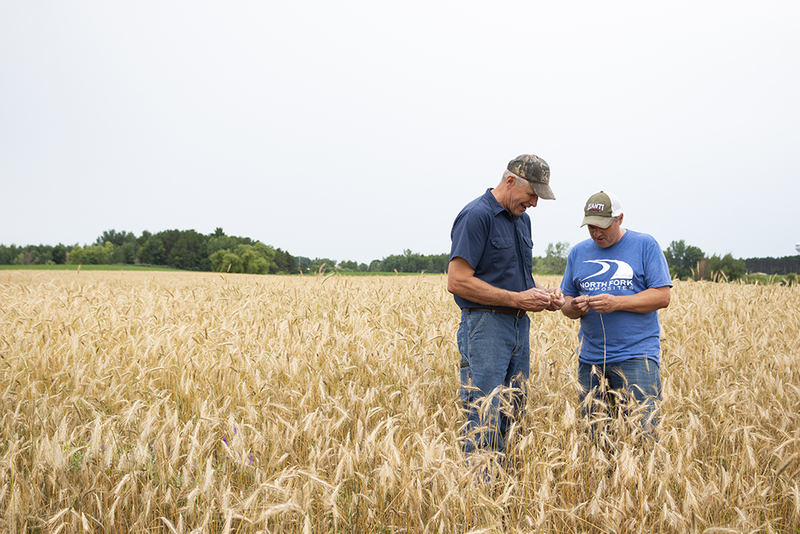 Anderson grows corn, soybeans, and several other crops on his 600 acres, but wouldn’t have grown a single straw of rye unless he’d met local distillers. He quickly learned this niche market was thirsty for this overlooked grain, and his buyers now include Isanti Spirits, Tattersall Distilling, and Bent Brewstillery. He’s growing 20 acres of rye this year. Next season, he hopes to grow 100. After extensive tasting of Minnesota’s aged spirits, it’s our opinion that whiskies made with rye are outperforming every other category—better than our bourbons, wheats, single malts, and blends. Their flavors are more fully realized, their flaws are fewer, and their personalities are more distinct. These local successes are part of a huge reversal of fortune for rye whiskey, which has exploded in popularity in the last decade. Since 2009, U.S. distillers have increased volumes of rye whiskey by 934 percent, from 88,000 cases in 2009 to more than 912,000 cases in 2017, according to the Distilled Spirits Council of the United States. Up until the 20th century, rye whiskey was the most popular brown spirit in America, thanks to the Scots-Irish immigrants who settled in Pennsylvania and Maryland. They found the area unsuitable for growing the barley of their malt whiskies back home, yet rye flourished, as did the distilling prowess of the Northeastern U.S.
Up until the 20th century, rye whiskey was the most popular brown spirit in America, thanks to the Scots-Irish immigrants who settled in Pennsylvania and Maryland. But the years of Prohibition soured Americans on rye. When America outlawed alcohol, Canada’s distilling industry kicked into high gear and turned the abundant rye harvests of Alberta and Saskatchewan into millions of dollars worth of whisky that was funneled into the U.S. In the hands of American bootleggers, Canadian rye was adulterated for maximum profit instead of maximum flavor. It was extended with neutral spirits, and Americans learned that “rye whiskey” meant something light in color, hot and rough on the palate, and destined for the bottom shelf. Rye became shorthand for something drank by addicts and old-timers, not the discerning cocktail enthusiast. In the 1945 noir classic “The Lost Weekend,” the spiraling protagonist pesters a shopkeeper for two bottles of the cheapest rye, adding “none of that 12-year-old aged-in-the-wood chichi.” When his money runs out, he robs a store to get his rye fix. After WWII, federal corn subsidies helped mint the well-aged bourbons of Kentucky and Tennessee as the premiere American whiskies. With low prices and waning demand, rye acreage plummeted—Minnesota grew 7.2 million acres of rye for grain in 1930; by 1989, it was a mere 32,000. As late as the mid-1990s, domestic rye whiskey was considered inconsequential by spirits experts. What changed in the last 20 years that has rye whiskey roaring back to prominence? The answer begins in the field. 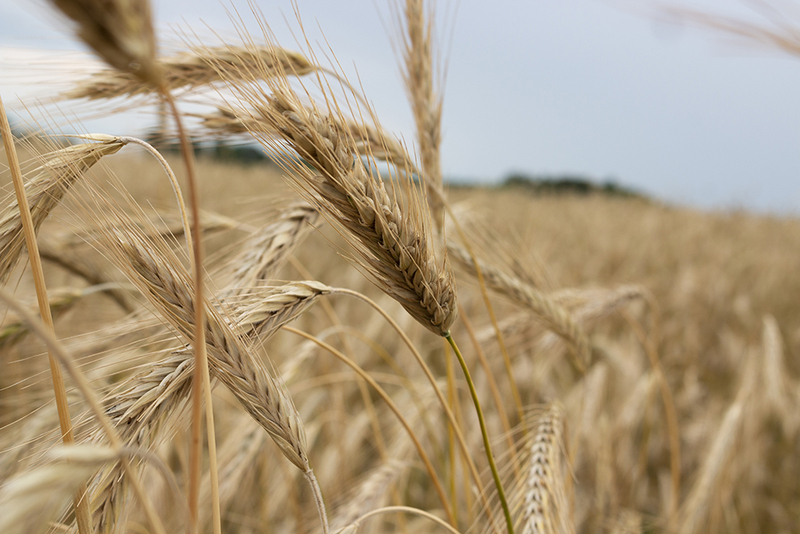 “The rye renaissance didn’t come from the distilling industry, it came first and foremost from the idea of developing cover crops in production systems,” says Dr. Jochum Wiersma, small-grain specialist at the University of Minnesota–Crookston. When planted in the fall, rye prohibits weed development, prevents topsoil erosion, and sequesters nutrients that are then plowed back into the ground come spring. Scientific inquiry into the grain was renewed as cover cropping with rye became more widespread. “There was very little done for decades and very little variety evaluation,” says Wiersma, who notes that the University of Minnesota released their premiere variety of rye, Rymin, back in 1973. But more recently engineered strains of rye have been excelling in both yield and taste. Many local rye whiskies are made from AC Hazlet, released in 2006. In Wiersma’s trials, new hybrid varieties from Germany are yielding bushels ahead of the pack. “That all of a sudden changes how we look at rye,” he says. “From a production standpoint, there’s interest not just in producing seed for a cover crop in more marginal ground but in better ground that would have been used for, say, spring wheat.” And if better varieties of rye are planted in that better ground, it’s not too far of a stretch to think that better whiskey might be the end result. It’s a happy coincidence for whiskey aficionados that researchers and farmers regained an interest in rye when they did. Because at almost the exact same time, on a completely unrelated mission, bartenders began to do the same. The craft cocktail movement began in earnest in the late 1990s and early 2000s when bartenders became inspired by turn-of-the-century recipe books. What they found in those manuals was a nation infatuated with rye whiskey, and realized why classic cocktails like the Manhattan and sazerac can become sweet and bloated when made with a lush bourbon—the original recipes called for the balancing slap of rye. The sudden demand for rye whiskey caught the nation’s distillers by surprise. Hardly anyone was sitting on a stash of aged rye; the few that did now enjoy cult status, like the Van Winkle Family Reserve Rye, a 13-year-aged gem made at the Buffalo Trace Distillery in Frankfort, Kentucky. Large distilleries, like the ones that flourished in the Northeast before Prohibition, picked up the slack and began pumping out an incredible volume of rye. Midwest Grain Products’ distillery in Lawrenceburg, Indiana, in particular is famous for its mass-production of straight rye whiskey that’s now sold under such labels as Bulleit, Angel’s Envy, Templeton, George Dickel, Smooth Ambler, and more. Rye whiskey can seem unpolished when compared to the caramelly sweetness of an aged bourbon. It often presents flavors of cereal and chaff, spice and stone. These whiskies seem to have internalized the taste of the North—structured and heady, grain-forward, woodsy, and dry. Like an introverted Finn, they can be standoffish or self-assured, depending on your point of view. The reasons behind rye whiskey’s success among Minnesota distillers are many. For one, rye whiskies generally age faster. Whereas the hot edges of a corn-based bourbon might take four to eight years to mellow, distillers say rye can hit the sweet spot in as little as two—sometimes even less. Another reason goes back to the land itself. 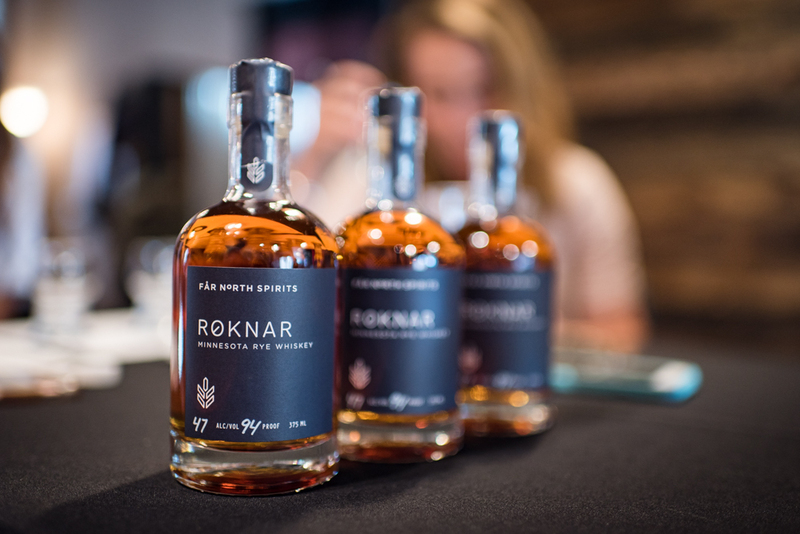 “I think the cold climate helps,” says Michael Swanson, who farms rye in Hallock, Minnesota, for his Far North Spirits Roknar Rye Whiskey. “It doesn’t get crazy hot, which rye doesn’t like. Most rye strains have been bred to grow in cold climates.” He notes the local availability of high-quality oak barrels and the willingness of local distillers to share information as other points benefitting our nascent whiskey scene. As Wiersma and other researchers try to determine which varieties grow best in the state, Swanson is on a mission to see which of them taste the best. He’s received grant money to undertake sensory trials and has planted several varieties, distilled them all the same way, and had multiple panels of blind tasters rate the resulting spirits. All across the state, rye is being tailored to our soils and climate with the care, inquiry, and attention that has been lavished on other cereals for decades. 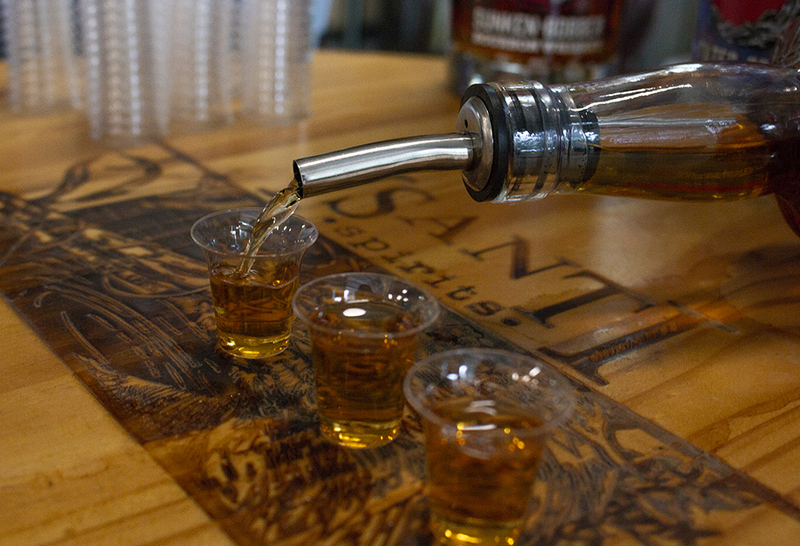 As our local whiskey makers forge ahead, we expect rye to continue leading the charge. Distinct rye spice, with charred pimento wood lending a balanced toastiness throughout. A perennial benchmark in Minnesota rye. Soft on the palate with classic notes of vanilla, brown sugar, and toffee. Distilled in Michigan, aged and sold in Minnesota. Showing great maturity at five years, with cherry fruit and cedar notes. Good fruit backed by an herbal top note, with deep and meaningful malt influence. Aged just short of three years. A portion of Applewood-smoked oats lend a mellow, smoky backdrop. A soft and delicate malt whiskey, with delightful notes of marzipan and dark chocolate. A bonded-strength (50% ABV) rye—young, grippy, and feisty. Robust, dusty, and assertive, with leather and tobacco notes. Palpable sweetness with soft red apple and floral aromas.